The Huawei P10 Plus has taken everything the Huawei P9 offered and turned it up to 11. There is no other way to put this. The camera, which still builds on help from Leica, is probably the stand out feature. Add to that the Kirin 960 Processor, the 6GB of RAM and the 3750mAh battery, and suddenly you have a winner. Like all Huawei phones offering Android, you get the latest version of EMUI. From the back, the phone looks pretty similar to the Huawei P9, apart from the missing fingerprint sensor. That fingerprint sensor is now at the front, at the bottom of the screen, and it looks pretty much like what iPhones have been doing for a few good years. The fingerprint sensor though, is not a Home button, at least not by default. More on that later. You have the usual USB C and headphone socket at the bottom, and the power and volume rocker keys on the right. Up top is an IR Blaster, something we didn’t see in the Huawei P9. Why am I comparing this to the P9 and not the P10? One, because the Huawei P9 is my main phone, and has been for over a year. Secondly, and more importantly, because Huawei has managed to pack in all that the P10 Plus has to offer, in the size of the regular P9. It totally is. I can be silly and boring here, and give you all the numbers and the facts. 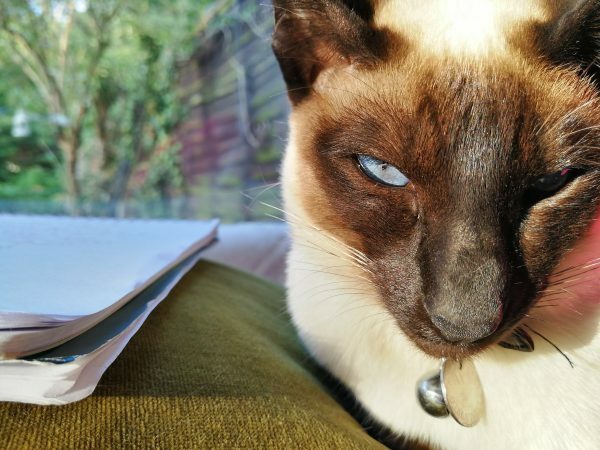 Alternatively, I can offer you this random picture I took of my cat. The uploaded version is full quality so feel free to click on it and check out the immense detail. Then there is the matter of hybrid zoom. Thanks to putting the two cameras together, Huawei have managed to give a zoom that works pretty much like an optical one. What I’d recommend is for you guys to head to the internet and look up some of the photos people have been taking. Huawei themselves have already collaborated with the likes of Saatchi Gallery, so a lot to see there too. I thought I’d write a bit more about the fingerprint sensor as I found using it a bit peculiar. Since the sensor is now in the same place as that on an iPhone, you almost feel like using it as a home button. However, by default, the three Android buttons still exist on the screen. This means that one often ends up hitting that hoping to return to Home. Huawei have thrown in an option in EMUI in which you can set that up too. You can hit it once to RETURN, hold to go back to HOME, swipe left or right to go to Recent tasks and swipe up to access Google. Shifting between the P9 and P10 with this mode activated conflicted with my muscle memory, but it isn’t something that is too hard to get used to. Personally I quite liking having those keys off screen. Oh yes, this phone packs in a mighty punch. The processor, the RAM and the OS/UI all work well to give you a snappy performance. No lags or delays were noticed. Some games took some time to load, but that is almost expected. The battery life is pretty decent on this one, giving me a good solid day to play with. 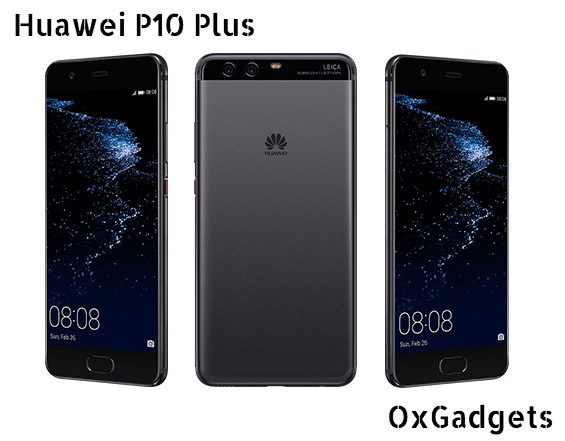 More information on the Huawei P10 Plus can be found on the Huawei website. We’d like to thank Vodafone for sending us the test sample. You can get one from Vodafone from £30 up front on plans costing you £44 per month. Buying one SIM Free would cost you just shy of £700, and it can be bought from the likes of Amazon. If you fancy the slightly smaller and less powerful alternative, the regular P10, that goes for around £440.